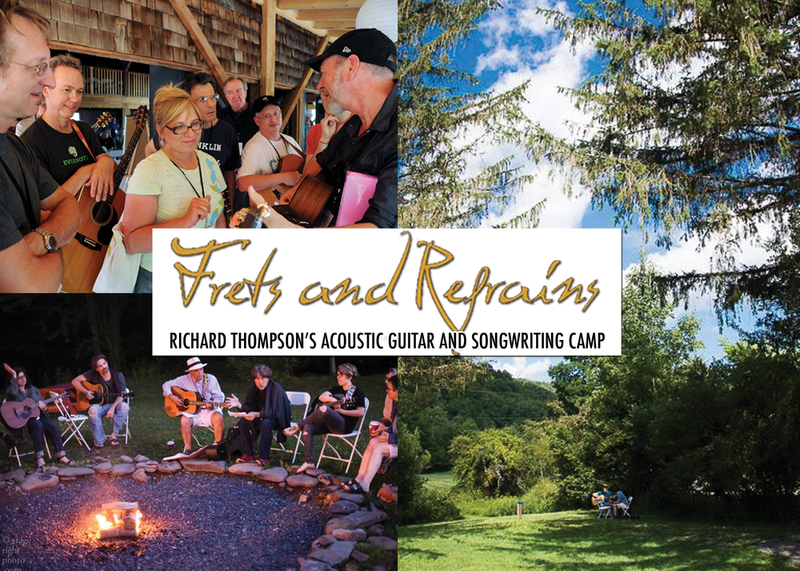 Richard Thompson’s Frets and Refrains Guitar & Songwriting Camp goes on sale this MONDAY, 12/19! Come join us JULY 10 - 14th for an inspiring week of music in the Catskill Mountains! Pick up audio techniques from Richard’s personal sound engineer, Simon Tassano, who will mix your own sound at the nightly Open Mic! Enjoy campfires, hiking, swimming, yoga, stargazing, RT curated music films...and gourmet food all week long!